A skylight replacement is needed if your skylight is letting in too much heat but is not leaking. 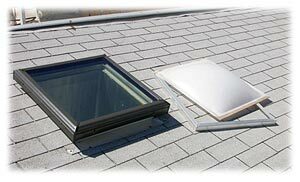 St. Louis Skylights can replace an existing nominal 2′ x 4′ fixed skylight for as little as $408. St. Louis Skylights replaces more skylights than any other St. Louis area company.